Shirley Herz Associates, Carol Rosegg/Associated Press – This photo provided by Shirley Herz Associates shows, from left, Cara Seymour, James Russell and Joseph Sikora, in a scene from Brian Friel’s drama, ‘The Freedom of the City’, currently performing off-Broadway at the Irish Repertory Theatre in New York. NEW YORK — Brian Friel is a master at beginning his plays at the end. Even though we know the outcome, his compassionate interpretation of events and their aftermaths often sheds light on social issues both specific and universal. His angry and deeply moving 1973 political drama “The Freedom of the City” is about the murder of three unarmed Irish civilians by British troops after a civil rights march in Northern Ireland. Friel’s ironically-titled work is based on real events that occurred in January 1972, when British soldiers killed 13 Irish citizens in similar circumstances, on what became known as Bloody Sunday. Ciaran O’Reilly directs a talented ensemble cast of nine in the thoughtful, quite stirring production that opened Sunday night off-Broadway at the Irish Repertory Theatre. O’Reilly cleverly stages Friel’s multiple narratives, making excellent use of his small stage and cast, deftly showcasing a wide array of events and locations. The focus is on an intimate setting inside a staid town hall where the three main characters spend their final afternoon. These ordinary civilians, later wrongly deemed by the official investigation to be “terrorists,” have stumbled into the town’s Guild Hall to escape being tear-gassed by British paratroopers after a public rally. Scenes of their colorful chat and innocent enjoyment of the luxuries they find in the mayor’s comfortable office are juxtaposed with flashes of the ongoing violence and misinformation outside. Stark contrast is provided by untrue statements from British law enforcement personnel during the subsequent investigation into their deaths. The impoverished, ill-fated locals include Lily Doherty, cleaning woman and mother of 11 children, (a radiant performance by Cara Seymour), and two young men: Adrian Skinner is a sarcastic petty criminal, (Joseph Sikora, edgy and raucous), and Michael, a hardworking, idealistic student, who is given an earnest, uneasy air by James Russell. Seymour is wondrously expressive, wearing a sweet, reflective and often mumsy demeanor. Lily offers up wry commentary as she and Skinner sip some of the mayor’s fine liquor and open up a little about themselves, even doing some singing and dancing. Sikora is alternately impulsive and cynical, while Skinner’s bitter flippancy seems most attuned to their possible fate. Russell radiates the uneasiness of upright Michael, who doesn’t enjoy his companions’ casual humor. John C. Vennema is smug and querulous as an “objective” British tribunal judge who reaches inaccurate, clearly prejudiced conclusions. Politely condescending lectures about “the culture of poverty” are provided by Christa Scott-Reed as an American sociologist. Ciaran Byrne is appropriately outraged as a Catholic priest as politicians, the Church and media all use the trio’s fate to serve their own agendas. Clark Carmichael mournfully sings a couple of ballads conveying the folk-hero status bestowed upon them. Set designer Charlie Corcoran has effectively created the gloomy town hall, while dramatic lighting enhances each vignette and explosions outside increase the tension. “All over the world, the gulf between the rich and the poor is widening,” the sociologist solemnly notes, like it was something new. Many of Friel’s observations about poverty and power in this compelling work from four decades ago remain unfortunately truer than ever today. Shanghai Film Festival starts June 16, 2012 and ends June 24, 2012. Contact Davien Littlefield to set up a meeting. 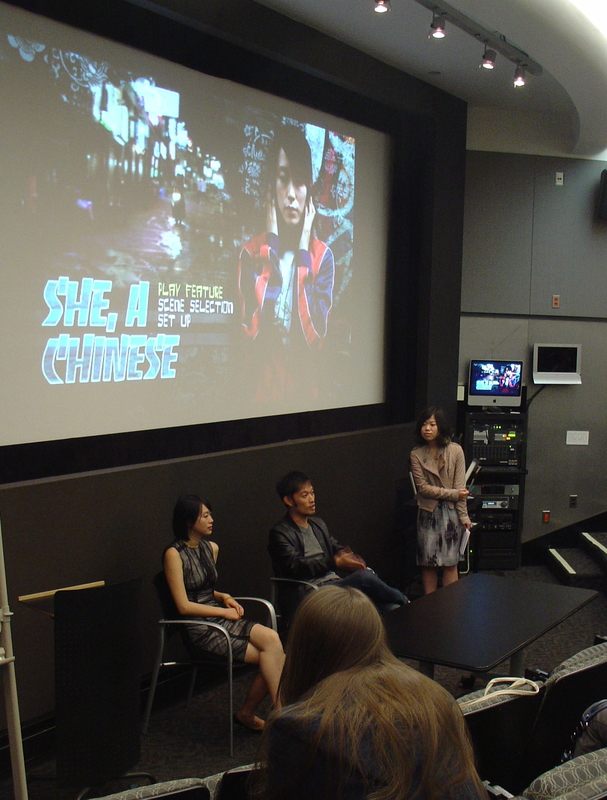 ” She A Chinese” & “Ten Years From Now” scheduled for April 17th at Beijing University. Jordan won FIRST PRIZE at the 2011 First Run Film Festival/ Wasserman Awards ceremony sponsored by the Charles and Lucille King Family Foundation. He received $7,000 cash prize and his film will be screened at the annual celebration at the Director’s Guild of America in Los Angeles in June.